There are three crate types: red, blue and yellow. Small Red: These Crates will drop a pistol that has very little ammo in it. Blue: Will drop you some gear that isnt a gun or a nade. Yellow: Yellow ones drop nades or other explosives. Large Red: Thes crates will drop a SMG or a shotgun, these crates require something that isnt jsut your fists to open. Parachute: The parachute can be deployed when making a large jump, it is also autodeployed on respawn during warmup. C4: C4 is now a remote detonation bomb, you get three charges. MediShot: MediShots give you 50% health back and also give you a very useful speed boost. If you kill an enemy who drops a MediShot, even if you at 119hp you should use a MediShot and pick up the dropped one because of the speed boost. Safe: Plant a bomb and when it explodes the safe drops some money, not worth. Fists: Fists have been added, dealing pitiful damage with the left click but being able to 'disarm' a victim when they are right clicked, this punch has a delay after right clicking that is significant. Fists are by no means an effective method to deal damage to an enemy. Knife: The knife remains unchanged dealing much better damage than fists. The left click on the knife does a little damage but the right click does 55. The knife can open Large crates with three hits and small ones with a single hit. Tools: All tools act the same, there is a Axe, Hammer and a Spanner. The left click of any tool does very little damage, but the right click throws the tool. Similarlly to the knife all tools can open Large crates with three hits and small ones with a single hit. A small, barred cage requiring $0.00 to $1000.00 to get into, sometimes it is worth it, sometimes it isn't. Crates, guns, cash etc. can be inside one of these areas. 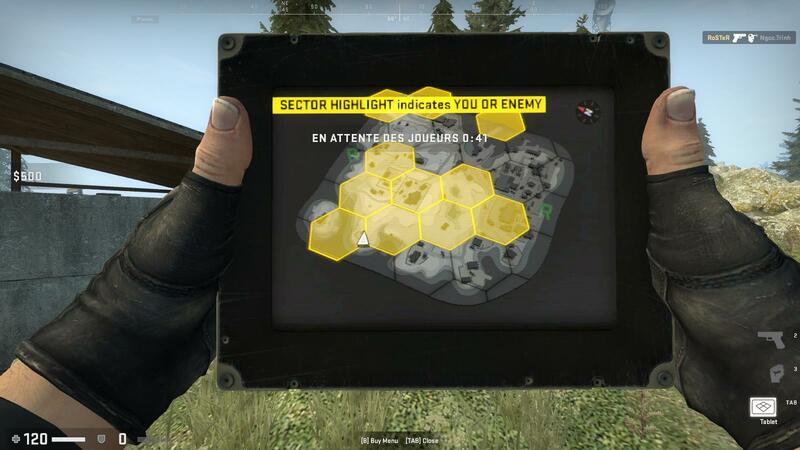 There are 4 things shown on the Radar mode of the Tablet: Map, Yellow Hexagons, Misc, Grey Area and Red Area. 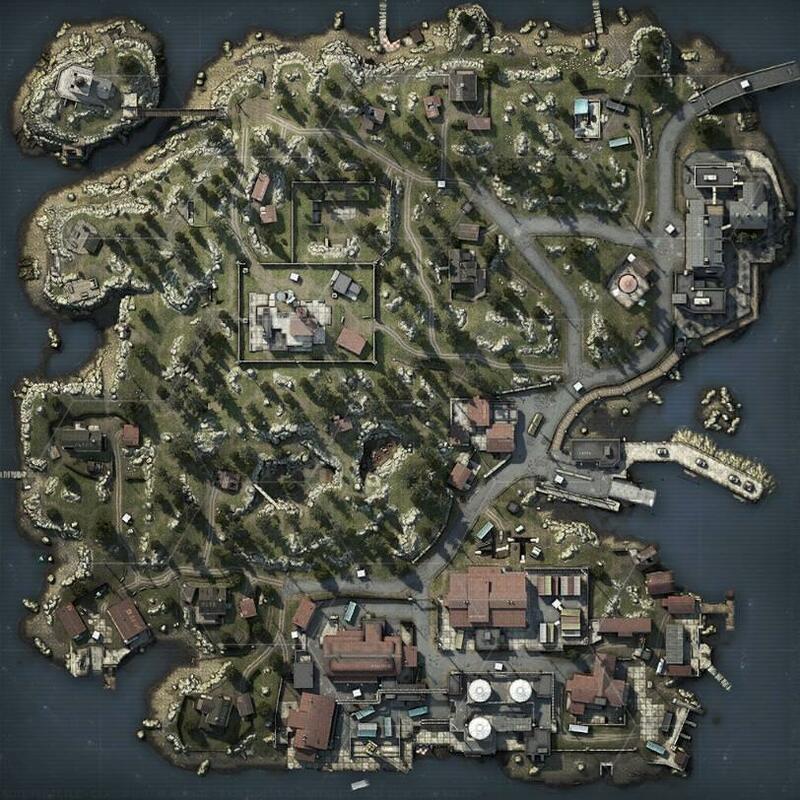 Map: This is pretty self explanitoy but behind everything else is a brids eye view of the map. Yellow Hexagons: This is a area that is being occupied by at least one person, including yourself or your teammate. This is the most important game mechanic this gives you a radar wallhack, if you use this to your advantage you will place significantly better in your games. 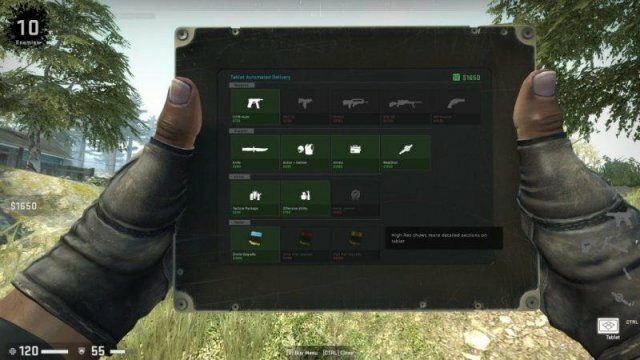 Misc: Drones, High value targets, Air Drops, Exploding Safes and even you are all shown on the radar. Grey Area: The Grey area is an indication of where the red is currently spreading to. Red Area: The Red area is where the danger zone already has spread to, It does very little damage and makes a creepy noise. Supplies: Knife, armor, ammo and medishot. These are the most useful and frequently bought. Use these. Utility: Grenades and Radar Jammer, the jammer is very useful late game, and is deployed in the world, it is a structure that blocks enemy radars in the 3 closest hexagons. Tablet: Tablet Upgrades: high res is really good late game, but is super expensive and can be made redundant if the enemy buys a jammer, imo these are ok, but not great. The first thing you will do is chose a drop site, the specific place you chose doesn't really matter imo, but what does matter is that you drop in a place that you know, try droping in the same place for two or three games in a row and then try drop next to that place, familiarise yourself with the loot placement and cover. 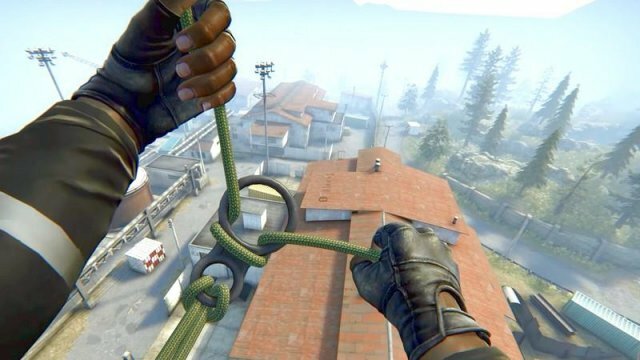 After you chose your drop site you will be lowered from a helecopter on a rope, you can swing on this rope to put yourself closer to loot, this will mean that you start the game with a small headstart, and this can mean the differance between dying in the first few seconds of the game or setting yourself up for victory with a quick kill. If you swing too early on your rope you will begin to swing back in the other direction, so time your swings or first do a counter swing, (swing in the opposite direction first) so that you land in an optimal spot. If you see a small red crate or just a pistol lying on the ground, please pick it up. If you find a better pistol try to hide the one that you are dropping so an opponent cannot pick it up or take its ammo. Pistols spawn with almost no ammo (a glock has 7, dualies 11, etc.) so conserve your bullets the most important and rare resource in this game is ammo. You will never have enough AMMO, never spray, always tap, go for headshots, take your time. If you have a glock and you attempt to pick up another glock (or any gun which is the same as the one you are holding) you will not pick it up, instead you will take its ammo, this is amazing ty volvo. 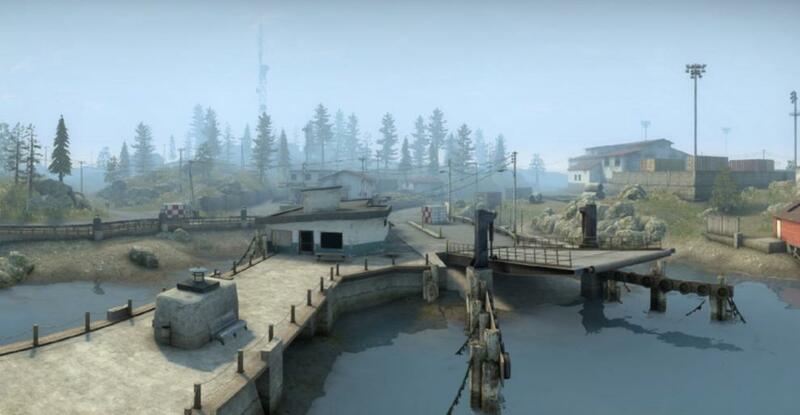 Now that you have dropped in a spot you know and you have a pistol, you are ready to get some kills! Actually not really, looting is really important early game, if not to help youself, to make it harder for enemies to get weapons. Getting a melee weapon that isnt your fists is going to be extremely important for the mid game. Getting some nades is going to allow you to be more slippery and have better team play (if you are not playing solo) and gathering ammo is more important than anything else. Try to isolate 1v1s, stalk your enemy, use your radar, make sure that you are the only one in your hexagon (btw is there an actual name for them???) it is better to run away then to waste your ammo, dont get kill hungry, you will die. 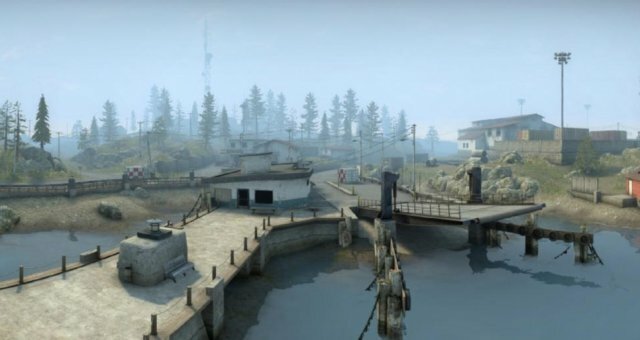 Honestly the early game is a coin toss, maybe there are no pistols spawning near you, and an enemy has a glock and you can't get away, or you are surrounded by enemies. If you die early don't worry, the map is overpopulated and you were the unlucky guy who drew the short straw. Early game purchases could include armor, a pistol or ammo. When most people start getting SMG's is when I call the 'Mid Game' people have found one or two ammo boxes, 4-8 people have probalby died, and the zone is about to start shinking. This is when skill becomes much more relevant in the game, everyone is on a more level playing field, and the rng of pistol spawns becomes irrelevant. If you see a ammo box and a large red crate, open the crate first. This is a really dumb mistake to make, say you have a sawed off, you pick up the ammo and you unboxed a mp5, you cant use the mp5 cause it has almost no ammo, but the sawed off is even worse than it is in comp becuase of the long-range nature of a Battle Royale map. Keep scavenging, look for guns/pistols dropped by players, having a pistol fully loaded will save your life. Keep your eye out for ammo. Your tablet will shoy you where the Danger Zone is going to spread to, use this to your advantage, get into a place on the map where your moves are not dicatted by the Danger Zone flushing you out of your position, forcing you to push another player. Get onto the side of the map that allows you to occupy a few houses, a place with good cover and high ground. This will allow you to pick off othere players as they are constantly being forced to change their position due to the Danger Zone. Never occupy a hexagon with an enemy player in it. Get your own hexagon, if you are fighting this is ok, if they push into you this is ok, if you are forced by the zone its ok, but don't let another player sneak up on you, get your own space and take fights when you need too, and take fights that give you a good chance of winning. (this is mostly dictated by what you feel you are better at eg. long/close range etc). Make sure that there are a max of 2 Hexagons occupied arround you, this means that you should try to be in a part of the map that is not highly populus as even if you are an excelent player, this can lead to unnececary and frustrating deaths. If there are 8 players left and there are only 6 hexagons, that means that there are areas of the map where there are more than one player in one area, check if this is your area by crossing a border into an unoccupied hexagon. All of these tips apply to the late game also. Ammo, (you should have armor, a few nades and a gun already) more Ammo, or save for late game. Keep opening these, you may find extra ammo, an upgrade for a pistol, a molotov, a MediShot, all of which could drasticly increase you chances of winning the game. They parachute down from the sky, they are displayed on the tablet, they make a beeping sound like a submarine, and they have the best loot in the game, the guns inside have almost no ammo (suprise) if you have found a spot where you are not going to have to move, try to have a shotgun or smg + the gun that you got from the air drop. This means that as you are taking your engagement, if you miss the 4 bullets that you are given, you still have the smg that you have collected some ammo for. Again in the late game you should only engage when you have the advantage, or you absolutely have to. Let the other players kill eachother, or at least damage eachother so you can get an easier fight, if there if 4-6 players left, take a break, calm yourself down, check your equipment, make a goal, check the tablet, make some decisions about where you want be be on the map, do you want to buy ammo? etc. When you are in the top 4 dont be inside the same sone as someone else and done be a neighbour either, if you hear some others fighting try to steal some kills from a range without wasting ammo. When you are in the top 3, you can either play passively and wait for the zone to force you into a close combat fight, or you can try to find the enemy before this happens, sometimes you will come accros the other two players fighting and you can easily clean up. If an enemy purchases something you can see exactly where the enemy is based on where the drone goes. Drones deliver you stuff to the location of the tablet on which they were ordered. This is you you if you are holding your tablet, If you order something, drop your table and run away the drone will not deliver to you, it will deliver the items to the tablet. This can be used to trick enemies. The Warowl describes a cool strategy that was used against him, and was also used against me. Clip is at 8:30, but the whole video is pretty informative. Ammo (especially if you found an air drop), MediShot, Final Tablet Upgrade, Jammer, maybe Grenades. I would personally not reccoment buying stuff late game, as it gives away your positon, if you really need to buy stuff buy it in bulk all at the same time and try to move after you have picked it up. Ammo: The most valuable resource in this game is ammo, how much ammo you have dictates how aggresive you can play. Tablet: Your tablet is an incredibly powerful tool that can give a mediocre player a huge advantage over a player with way better mechanical. They gave us a wallhack, dont ignore it, abuse it.